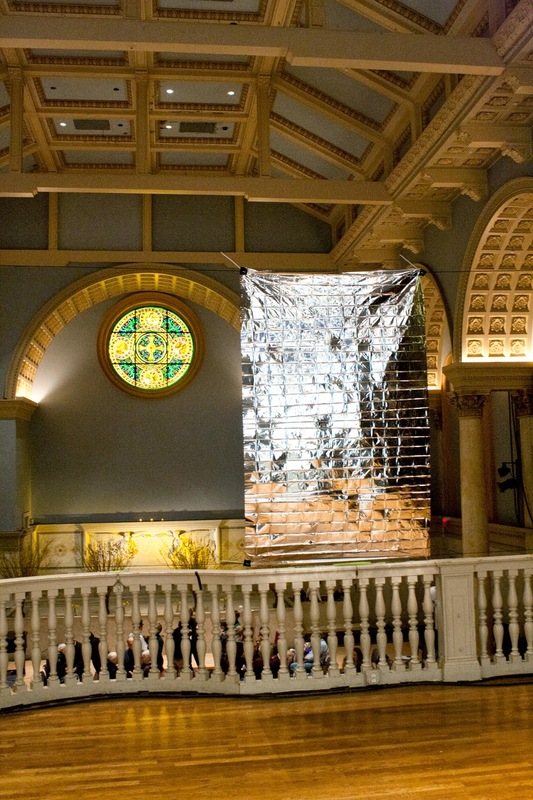 Amanda Friedman: Why show art at Judson Church? 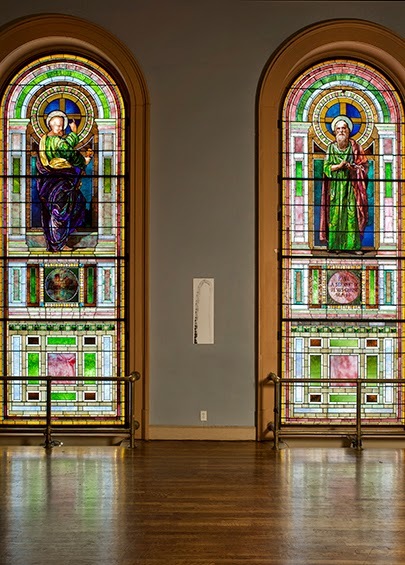 Jay Pluck: The balcony at Judson Church seems to be the ideal setting for my idea of The God Light: that there would be no text, only ambient light, and that many different populations would see what should probably be only a couple of artworks by one artist. 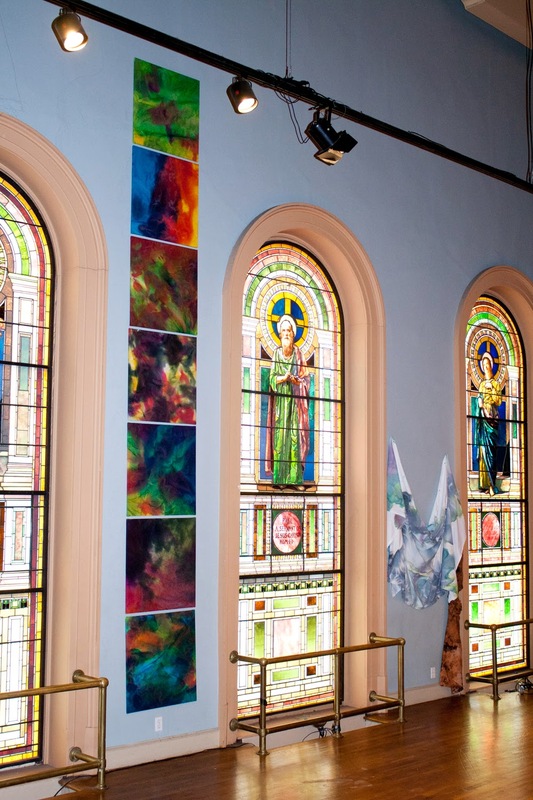 There are walls between three stained glass windows on the balcony at Judson, and the balcony is used by a wide variety of individuals and groups. I kept seeing the two tall and narrow green walls on the balcony; they were so dim and appealing. For a long time, Judson was, in my mind, an important place for dance and a civil rights hub. I then learned about its art historical importance in terms of visual arts. It began to feel very auspicious to exhibit visual arts at Judson and I am very grave about contributing to that history. And then I went to a few services, which are essentially open dialogues about civil rights. Because of the vividly kind, vigorous congregation, I was further motivated by the contemporary gravity of the place. 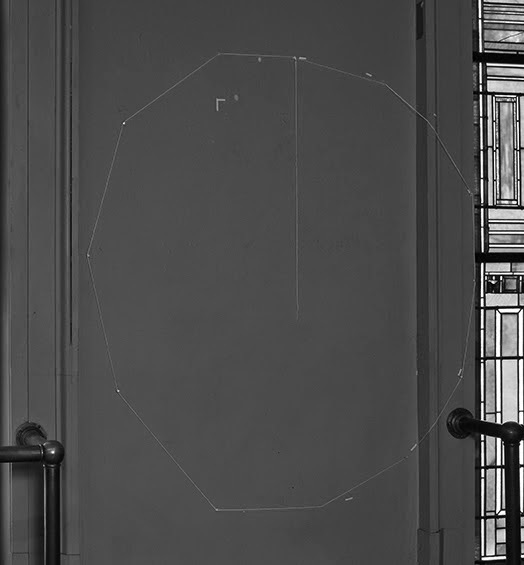 Any limitations tied to exhibiting artworks in a multipurpose space are immediately ameliorated and imbued with hearty energy by the Venn diagram I have described: the lyrical setting, historical importance, and trenchant congregation make the idea unsinkable. I met Judson's arts minister, Micah Bucey when he picked up an upright piano from my Harlem studio. The piano had become very dear to me. It was headed to the balcony. Micah was so clearly a brilliant person that I wanted badly to work on something with him. It is a thrilling feeling to be there. Additionally, the loose potluck atmosphere is initially a little disorienting for a lot of people. This adds an unpredictable element to each opening, which I value. AF: Can you speak to a connection between religion and art? - how do you relate to this? 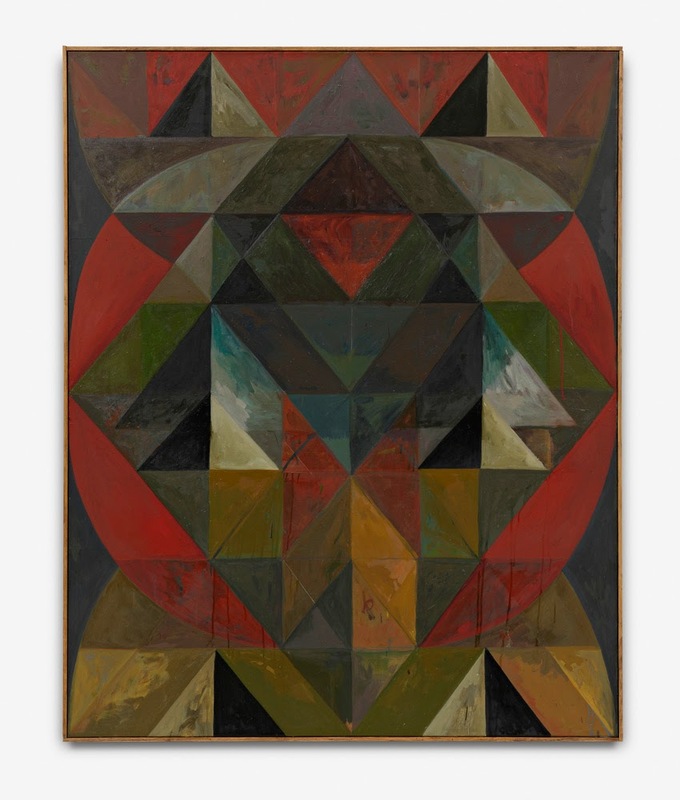 JP: I do not know much about the connection between religion and art aside from the obvious, about which I am again not articulate. 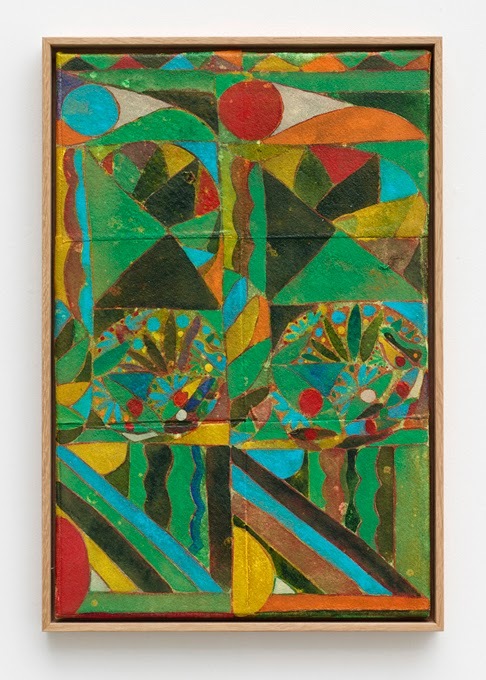 The exhibition series is religious because it is about a practice involving god--the lyrical moment in which both god and the artist are engaged in the same creative act. The works in the show are chosen because that moment is in them, for different reasons, more explicit. I do not think believing in god makes one religious... although I think I am. 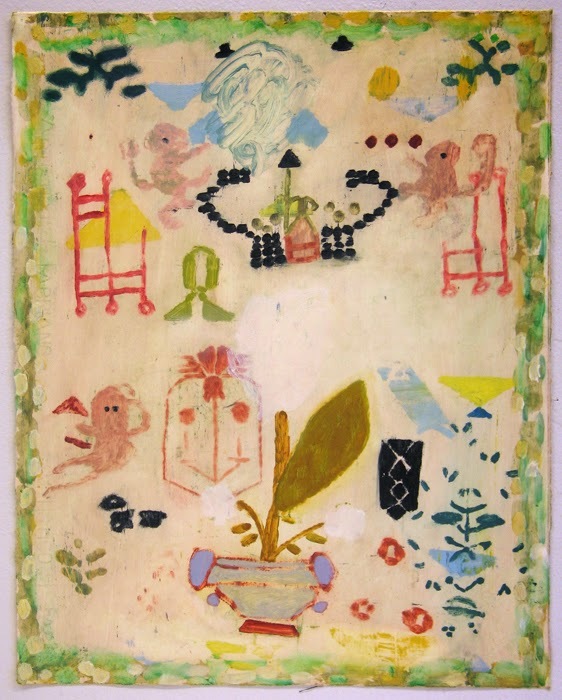 A lot of the artists in the show do not believe in god; I think their commitment to their visual arts practice is the method through which they relate to the idea. AF: What artists have you shown and who is coming up? 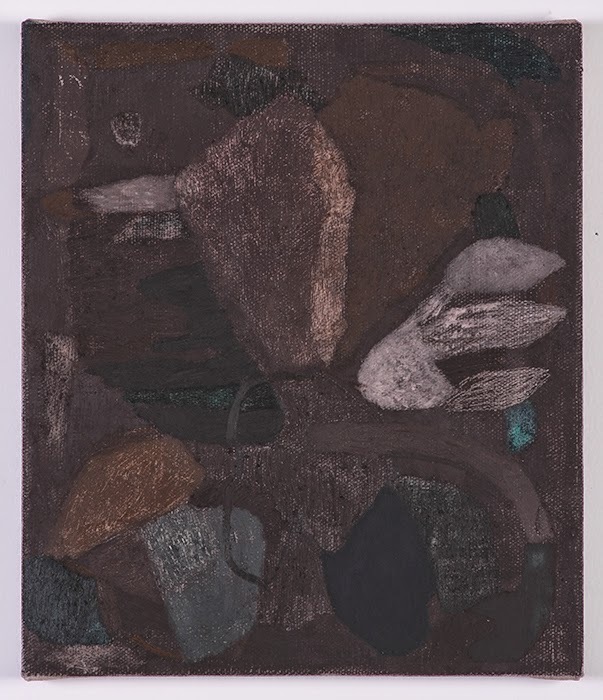 JP: Emily Harris and Michael Welsh have exhibited so far. I loved both of their shows which I think came together in the space as if planned and researched. 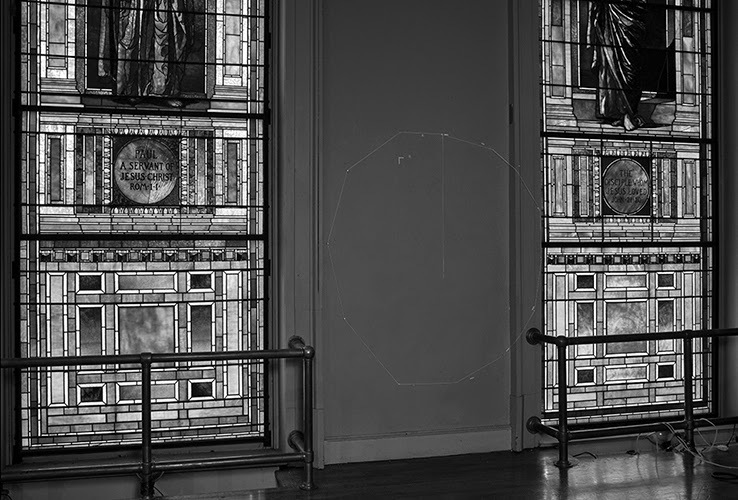 The site-specific elements in Emily's work and the internal fire of Mike's work were serendipitous. 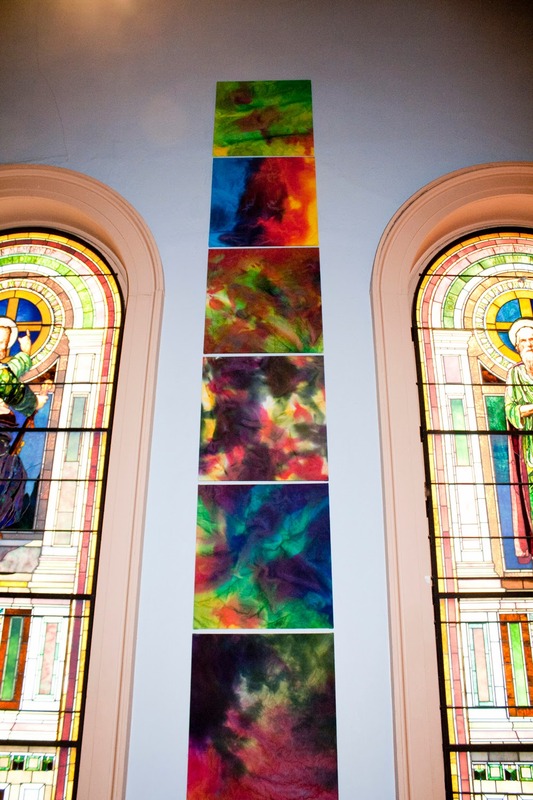 The stained glass windows were a wild simulacrum of Mike's flocking paintings. 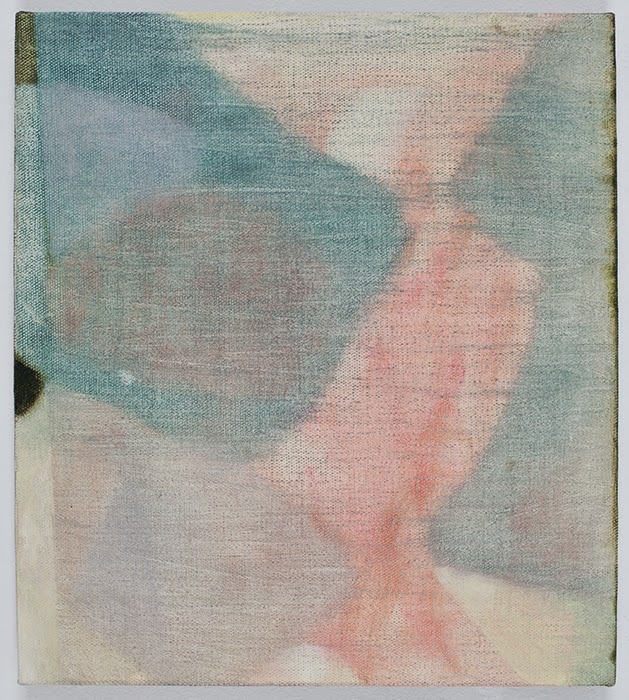 The next two exhibitions will be Ulrika Strömback in July and Michael Krumenacker in August. Beyond that the artists are selected through the end of the year but not scheduled: Ed Askew, Peter Mandradjieff, and Zoe Nelson. AF: Any other thoughts and or context you could relate or bring up here of interest/inspiration? JP: It is fun to stay true to what I think is a boiled-down, sound, and positively charged idea—and to do this while collaborating and with an element of improvisation.